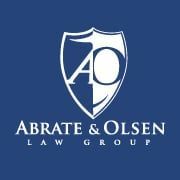 Abrate & Olsen Criminal Defense - If you need strong, effective criminal defense representation, Criminal Defense Attorney Daniel L. Olsen and Michael G. Abrate can aggressively protect your rights in state and federal court. If you need strong, effective criminal defense representation against allegations of embezzlement, money laundering, fraud or other federal charges, or quality representation for a drug crime charge or other criminal investigation, Sacramento Criminal Defense Attorney Daniel L. Olsen and Michael G. Abrate can aggressively protect your rights in state and federal courts. Olsen Law is committed to excellence and to providing quality litigation to the greater Sacramento area.